Being the “Swiss-Army Knife” of lighting means C-Series fixtures are designed around versatility and flexibily. Hundreds of compatable optical, power, mounting, and carrying accessories allow you to customize your C-Series body for any location or lighting situation. Traditional cinema lights will burn right through most photography accessories, but Hive LED technology keeps lights cool to the touch with silent airflow systems. The body cylinder is designed with a 100mm (4”) diameter to fit all Profoto accessories: the industry standard for engineering photography light shaping tools. This means compatibility with hundreds of existing compatible photo accessories from various manufacturers including ProFoto®, Chimera®, Elinchrome® and Westcott® to name just a few. 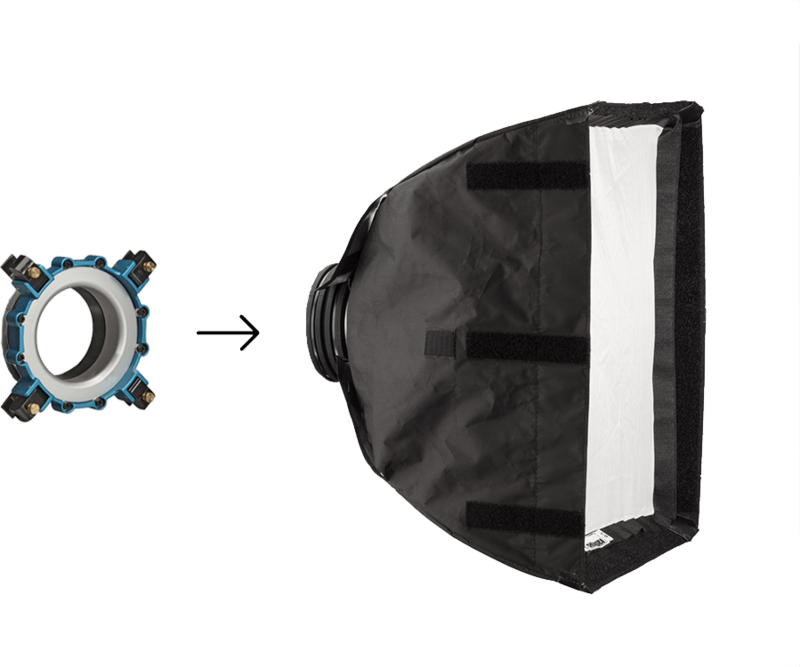 Simple and intuitively mount photo reflectors, beauty dishes, parabolic and giant reflectors, and speed rings for any softbox. 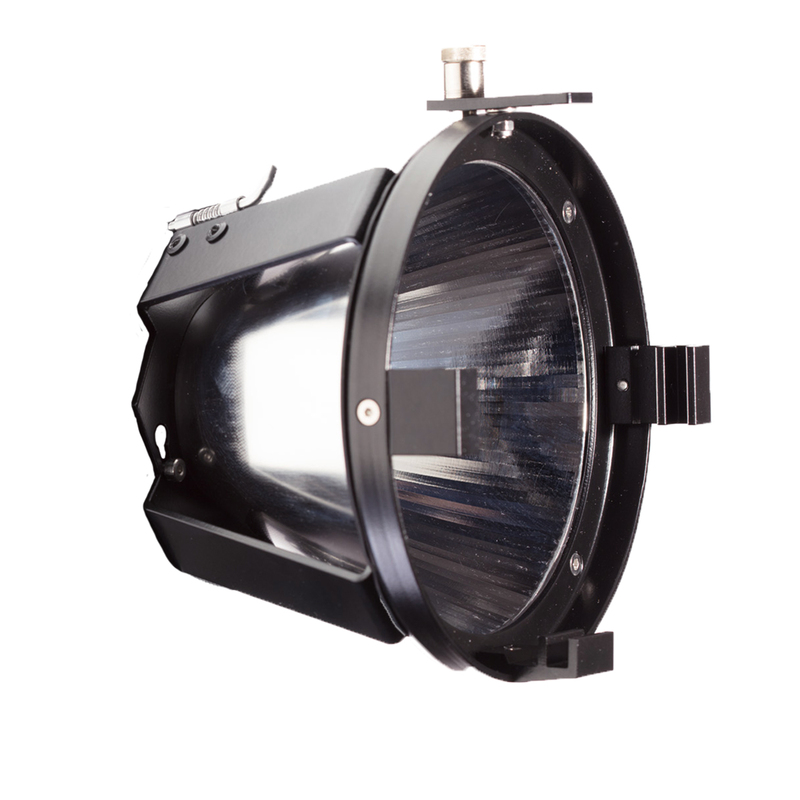 Hive’s Par Reflector is the standard kit optic for the Bee 50-C and Wasp 100-C, concentrating light for focused spots and increased brightness. It is easily fastened via bayonet mounts on the front of the light, and the included locking pin keep it snuggly attached. Mounting ears make adding compatible 5″ Barn Doors, Lenses, and Speed Rings simple. 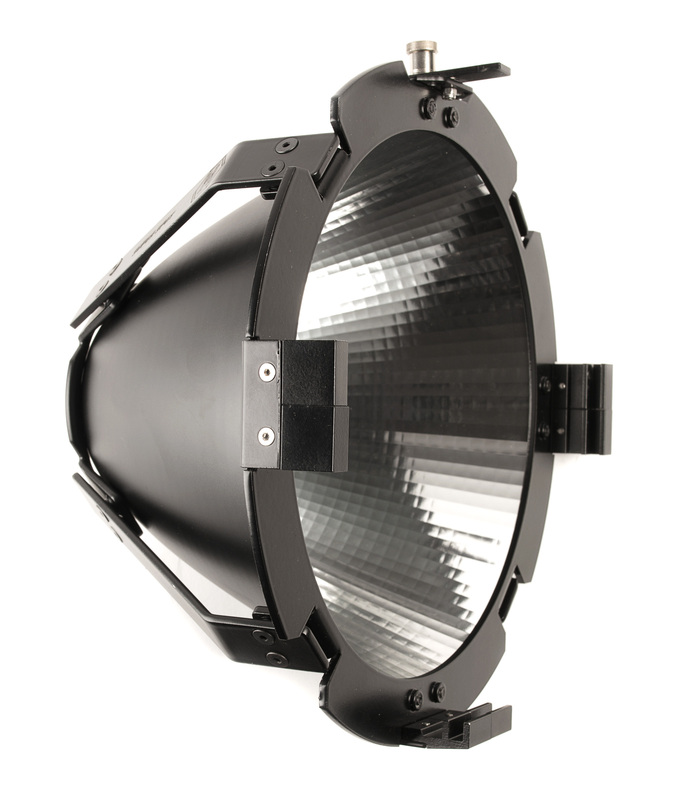 The Super Spot Reflector was engineered specifically for the Hornet 200-C. A deeper and wider build accommodates a larger bulb size to Maintain a 22° spot beam. That said, it fits on all C-Series and delivers bright concentrated spot, perfect for modifying a key light or long throw work. is easily fastened via bayonet mounts on the front of the light, and the included locking pin keeps it snuggly attached. Mounting ears make adding compatible 9.5″ Barn Doors, Lenses, and Speed Rings easy. 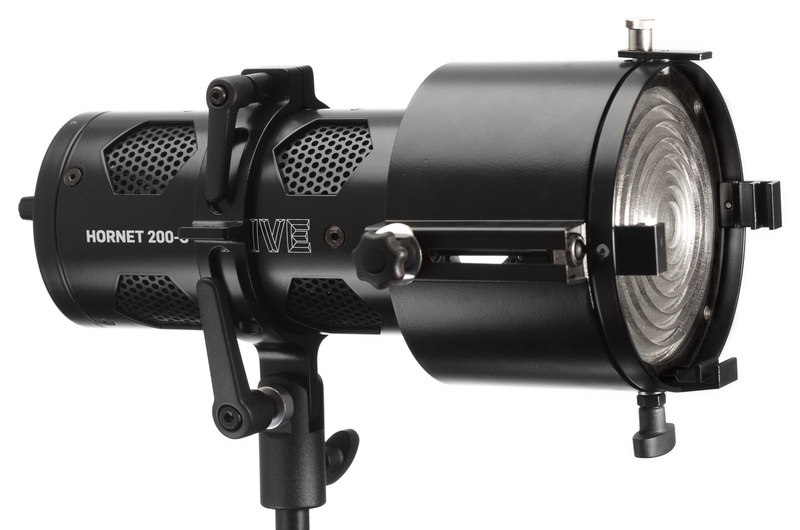 Hive’s Adjustable Fresnel allows for better control over light output. By rotating a knob, you can quickly adjust the beam angle from spot to flood, getting the right concentration of light for any situation. Mounting Ears on the front of the Fresnel fit all 5” accessories, including Barn Doors, Lenses, and Speed Rings. 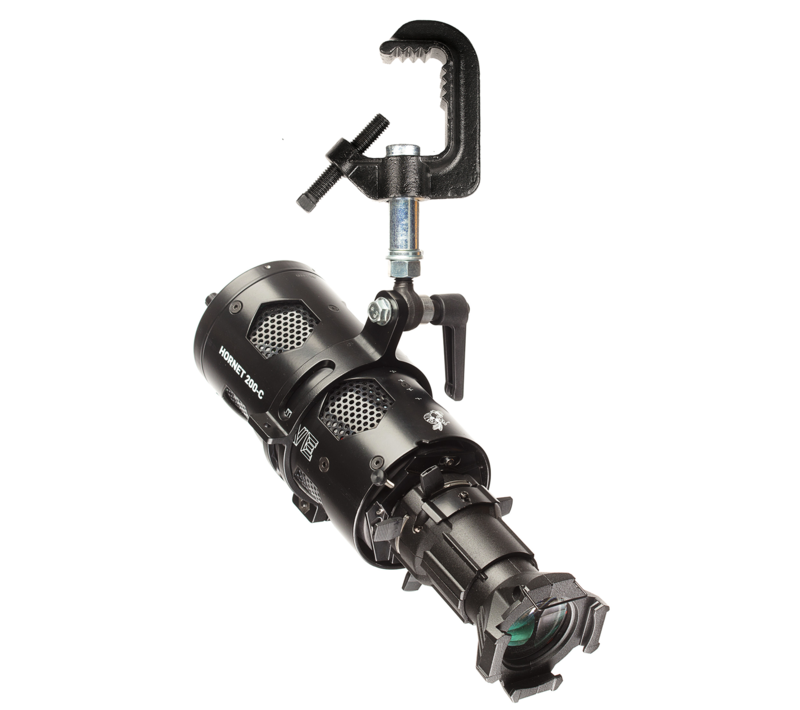 With a specialized adaptor plate, the Mini Leko attachment from ETC fits on all C-Series lights. This allows for precision spot-lighting, with slots for gobos and handles for fine-tuned light cutting. Combined with the color changing abilities of Hive’s C-Series, this is a great solution for museums, theaters, stages, and sets. In three sizes, 4″ photo mount, 5″, and 9.5″, our speedrings are heavy duty, all metal, and designed to withstand the rigors of set. 8 point speed rings supports a variety diffusion, deep or shallow, including collapsible beauty dishes and “octa” soft boxes. 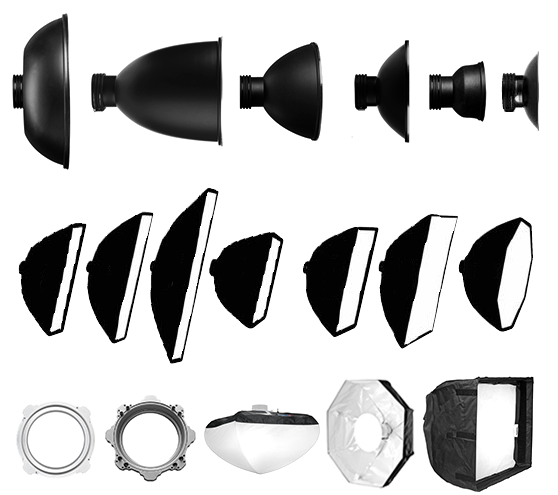 The 4 point speed rings support “strip”, “square”, “pancake”, “deep”, “shallow” soft boxes. Hive manufactures HDP lens sets to narrow or widen the beam. 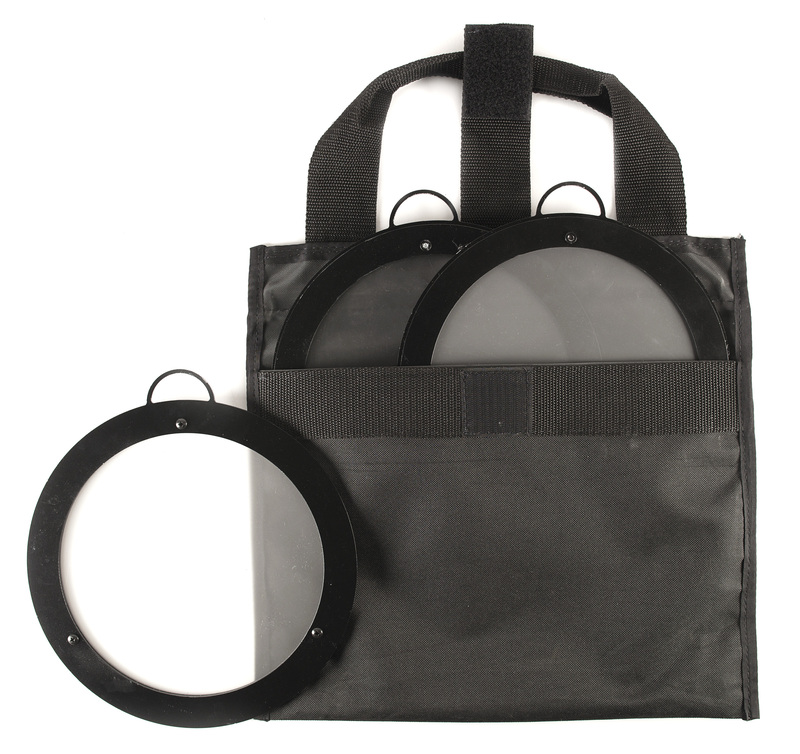 Coming in 5″ and 9.5″ varieties, each kit includes a super wide, wide, and medium lens. 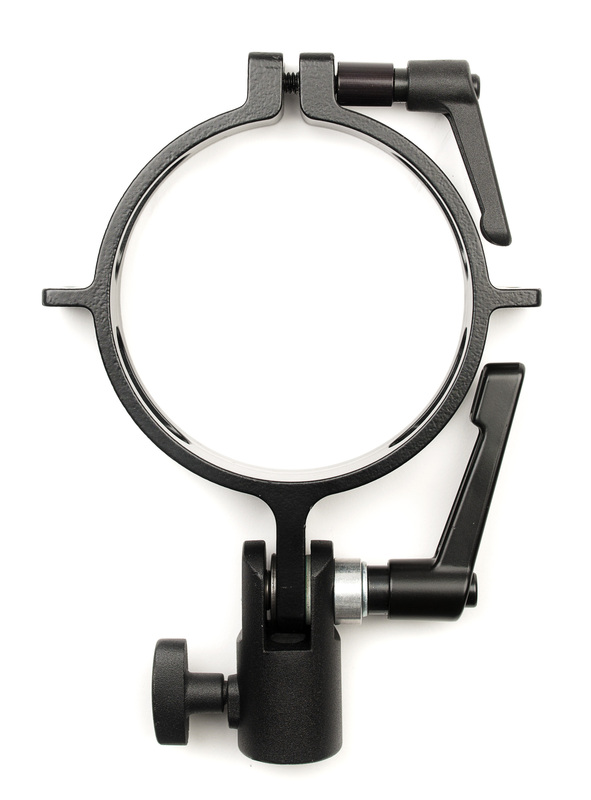 Hive also makes a premium 9.5″ glass lens set for the Super Spot Reflector that you can buy separately. This Portable Style Adjustable Yoke comes standard with most kits. Depth, horizontal, and vertical positioning is easy with quick knob adjustments. A 5/8th (16mm) receiver mount means largely universal compatibilty while mounting tabs on either side allow easy power accessory placement. The Studio Style Adjustable Yoke allows all C-Series fixtures to be used in a fixed or semi-fixed studio environment, perfect for studios, theaters, museums, and more! Exchange heavy traditional lights with a cool-running, low power draw, high color rendering source; easily controllable by wired or wireless DMX. Mounting tabs on either side of the yoke allow easy power accessory placement for batteries or power strips, while a C-clamp mounts firmly to either trusses or overhead grids. 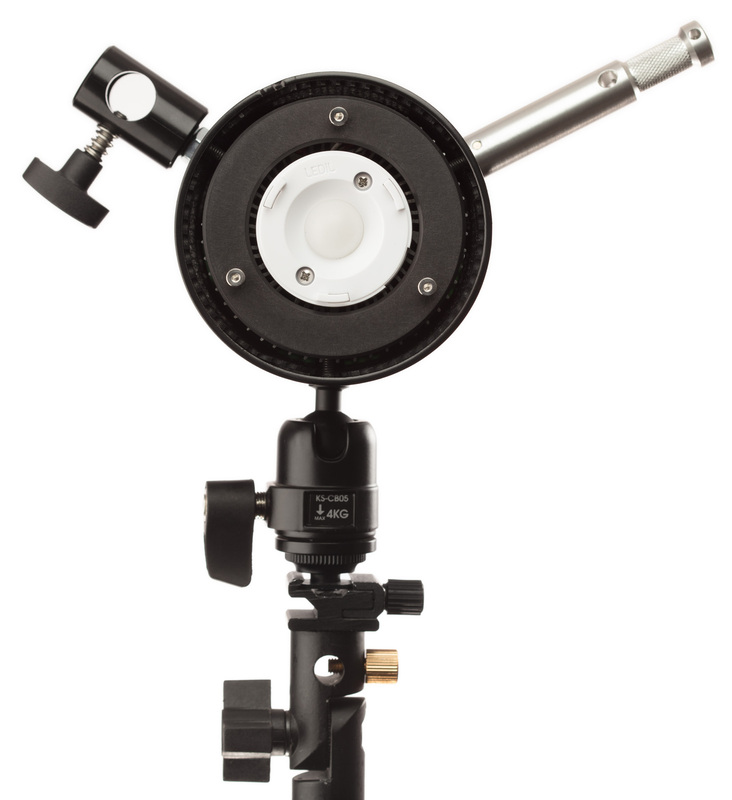 The Photo Umbrella Mount is a quick and easy way to modify C-Series lights into a soft source. 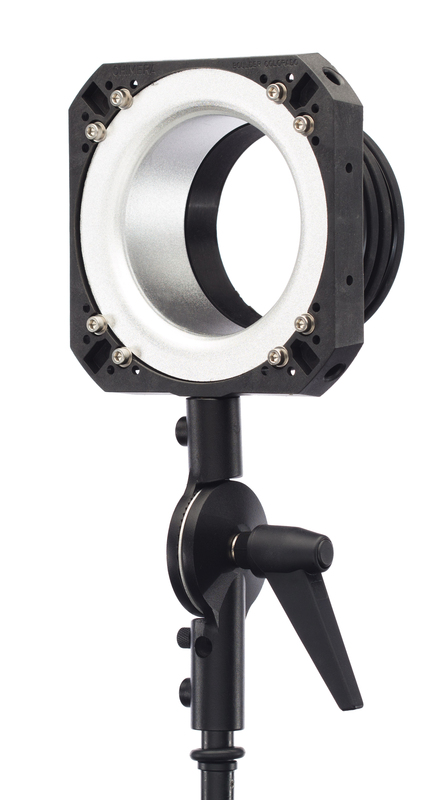 A 5/8th (16mm) receiver mount means universal mounting compatibilty, while a Profoto ring serves as a Four-Point Speed Ring, allowing Square and Rectangular Softboxes to be connected directly to the yoke itself without the need for additional mounting accessories. An Umbrella mount is compattable with all standard photo umbrellas. The Bee 50-C body is built with a series of three 1/4 20″ mounting points for easy rigging. Shown above are male and female Baby Pin adaptors, and a cold-shoe mount. Combined with a lightweight build and small form factor, the Bee can move comfortably between mounting to cameras, drones, practicals, stages, and sets. Each C-series light comes with a specific Power Supply: 12-18V DC for the Bee 50-C, 12-20V DC for the Wasp 100-C, and 24–36V DC for the Hornet 200-C. The power supplys are small and mobile, easier to use than a conventional ballast. 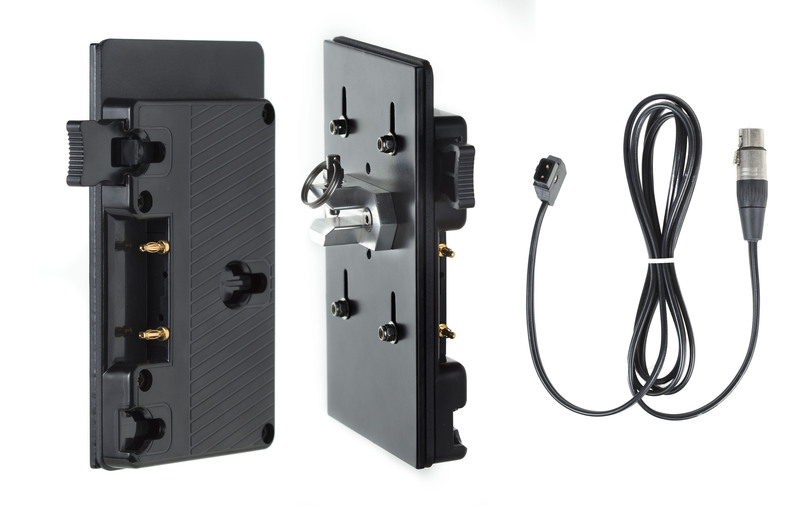 And with our seperate mounting bracket accessory, the Power Supply can be mounted directly on the Head itself via the Yoke’s Grenade Pin Mount, or used with a Mafer Clamp to mount to a stand. 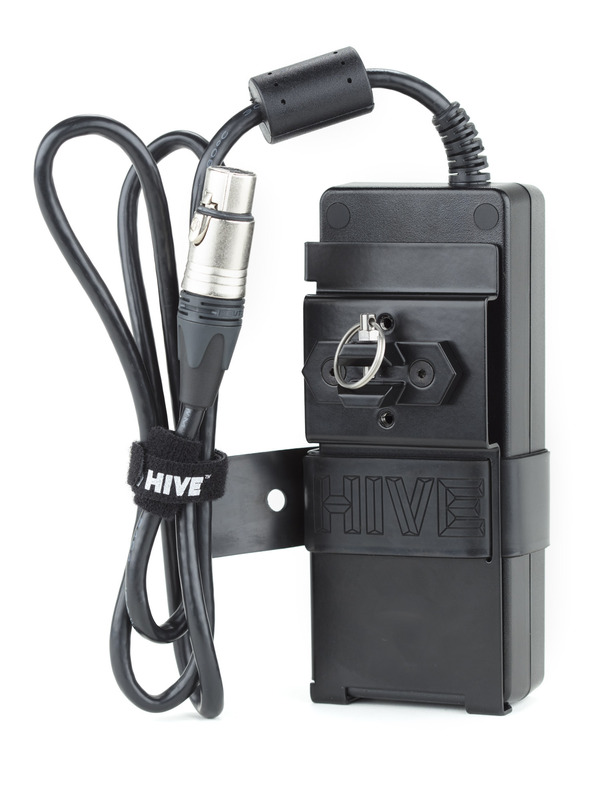 With both V-Mount and Gold-Mount Brackets it’s never been easier to run Hive fixtures off battery. A simple grenade pin allows users a quick and sturdy mount to both Hive’s Studio Yoke and Portable Yoke, or alternatively a Mafer Clamp for easy attaching to C-Stands or Grids. The Bee 50-C can run off 12VDC, 14.4VDC, and 14.8VDC batteries, the Wasp 100-C works great with standard 14.4VDC batteries, and the Hornet 200-C can be operateed with 26V or 28V batteries, or two 14.4V running tandem. 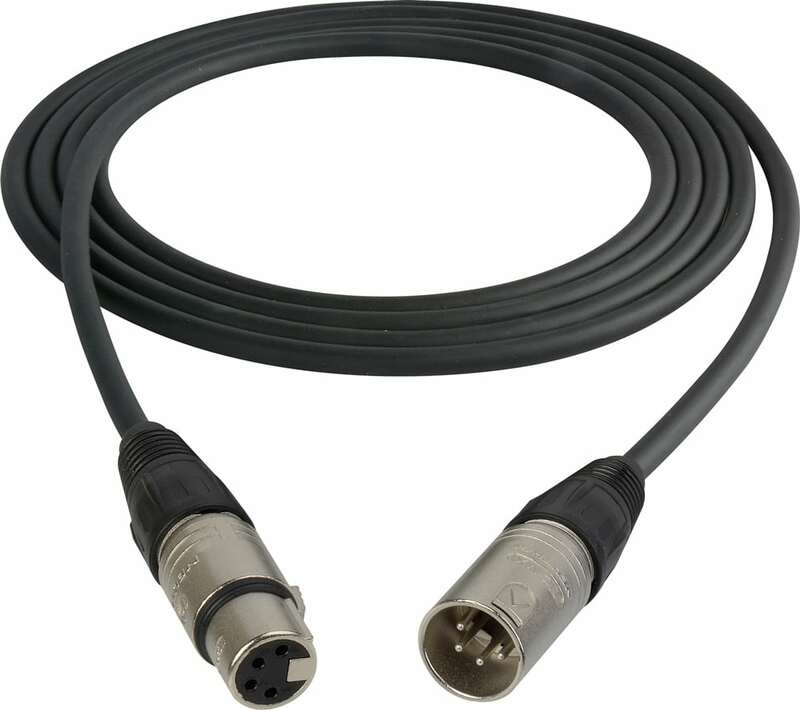 The 4-Pin XLR Male to Female Extension Cable (15′) can be used to extend the header cable for any C-Series Llight and place the power supply 15 feet away from the head, allowing you to leave it on the ground or anywhere else away from the fixture.